Get Jimmy Page essential facts below. 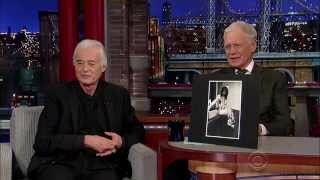 View Videos or join the Jimmy Page discussion. 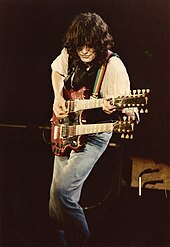 Add Jimmy Page to your PopFlock.com topic list for future reference or share this resource on social media. Page is widely considered to be one of the greatest and most influential guitarists of all time.Rolling Stone magazine has described Page as "the pontiff of power riffing" and ranked him number 3 in their list of the "100 Greatest Guitarists of All Time." 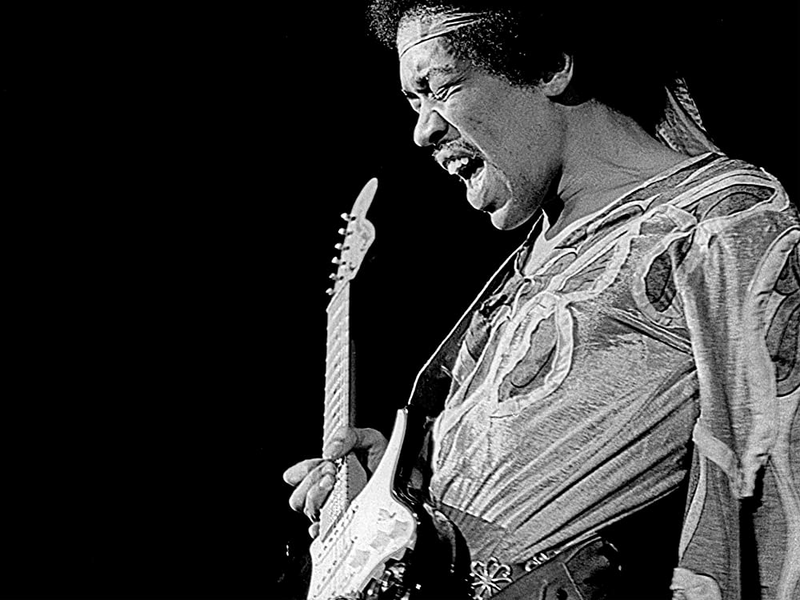 In 2010, he was ranked number two in Gibson's list of "Top 50 Guitarists of All Time" and, in 2007, number four on Classic Rocks "100 Wildest Guitar Heroes." 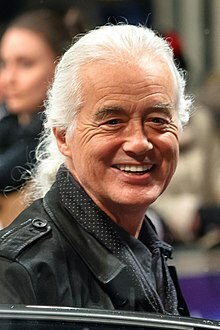 He was inducted into the Rock and Roll Hall of Fame twice; once as a member of the Yardbirds (1992) and once as a member of Led Zeppelin (1995). 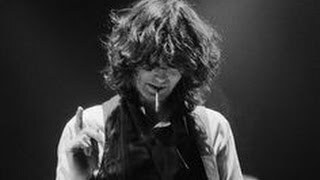 Page has been described by Uncut as "rock's greatest and most mysterious guitar hero." Among Page's early influences were rockabilly guitarists Scotty Moore and James Burton, who both played on recordings made by Elvis Presley. Presley's song "Baby Let's Play House" is cited by Page as being his inspiration to take up the guitar. 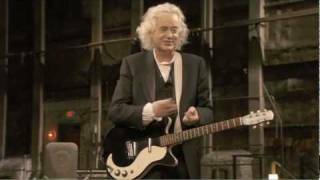 Although he appeared on BBC1 in 1957 with a Hfner President, Page states that his first guitar was a second-hand 1959 Futurama Grazioso, later replaced by a Fender Telecaster. At 13, Page appeared on Huw Wheldon's All Your Own talent quest programme in a skiffle quartet, one performance of which aired on BBC1 in 1957. The group played "Mama Don't Want to Skiffle Anymore" and another American-flavoured song, "In Them Ol' Cottonfields Back Home." 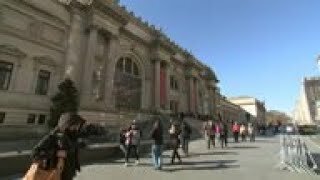 When asked by Wheldon what he wanted to do after schooling, Page said, "I want to do biological research [to find a cure for] cancer, if it isn't discovered by then." Page had difficulty finding other musicians with whom he could play on a regular basis. "It wasn't as though there was an abundance. I used to play in many groups ... anyone who could get a gig together, really." Following stints backing recitals by Beat poet Royston Ellis at the Mermaid Theatre between 1960-61, and singer Red E. Lewis, he was asked by singer Neil Christian to join his band, the Crusaders, after Christian had seen a fifteen-year-old Page playing in a local hall. Page toured with Christian for approximately two years and later played on several of his records, including the 1962 single, "The Road to Love." In 1965, Page was hired by Stones manager Andrew Loog Oldham to act as house producer and A&R man for the newly formed Immediate Records label, which allowed him to play on and/or produce tracks by John Mayall, Nico, Chris Farlowe, Twice as Much and Clapton. Also in 1965, Page produced one of Dana Gillespie's early singles, "Thank You Boy". Page also formed a brief songwriting partnership with then romantic interest Jackie DeShannon. He composed and recorded songs for the John Williams (not to be confused with the film composer John Williams) album The Maureeny Wishful Album with Big Jim Sullivan. 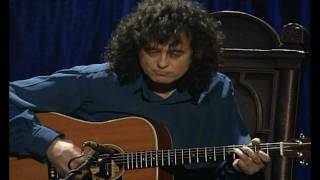 Page worked as session musician on Donovan Leitch's Sunshine Superman and the Johnny Hallyday albums Jeune Homme and Je Suis Ne; Dans La Rue, the Al Stewart album Love Chronicles and played guitar on five tracks of Joe Cocker's debut album, With a Little Help from My Friends. Over the years since 1970, Page played lead guitar on 10 Roy Harper tracks, comprising 81 minutes of music. Although Page recorded with many notable musicians, many of these early tracks are only available as bootleg recordings, several of which were released by the Led Zeppelin fan club in the late 1970s. 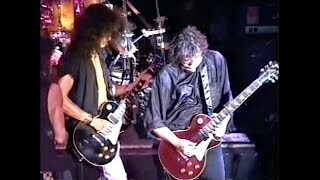 One of the rarest of these is the early jam session featuring Jimmy Page and Stones guitarist Keith Richards covering Robert Johnson's "Little Queen of Spades". 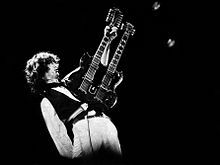 Several early tracks with Page were compiled on the twin album release, Jimmy Page: Session Man. Page also recorded with Richards on guitar and vocals in Olympic Sound Studios on 15 October 1974. Along with Ric Grech on bass and Bruce Rowland on drums, a track called "Scarlet" was cut. Page reflected later in an interview with Rolling Stones Cameron Crowe: "I did what could possibly be the next Stones B side. It was Ric Grech, Keith and me doing a number called "Scarlet." I can't remember the drummer. It sounded very similar in style and mood to those Blonde on Blonde tracks. It was great, really good. We stayed up all night and went down to Island Studios where Keith put some reggae guitars over one section. I just put some solos on it, but it was eight in the morning of the next day before I did that. He took the tapes to Switzerland and someone found out about them. Keith told people that it was a track from my album". My session work was invaluable. At one point I was playing at least three sessions a day, six days a week! And I rarely ever knew in advance what I was going to be playing. 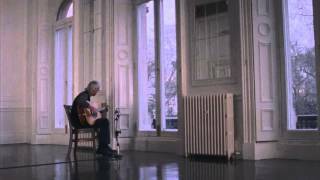 But I learned things even on my worst sessions - and believe me, I played on some horrendous things. I finally called it quits after I started getting calls to do Muzak. I decided I couldn't live that life any more; it was getting too silly. I guess it was destiny that a week after I quit doing sessions Paul Samwell-Smith left the Yardbirds and I was able to take his place. But being a session musician was good fun in the beginning - the studio discipline was great. They'd just count the song off and you couldn't make any mistakes. I had a lot of ideas from my days with the Yardbirds. The Yardbirds allowed me to improvise a lot in live performance and I started building a textbook of ideas that I eventually used in Zeppelin. In addition to those ideas, I wanted to add acoustic textures. Ultimately, I wanted Zeppelin to be a marriage of blues, hard rock and acoustic music topped with heavy choruses - a combination that had never been done before. Lots of light and shade in the music. In October 1999, Page teamed up with The Black Crowes for a two-night performance of material from the Led Zeppelin catalogue and old blues and rock standards. The concert was recorded and released as a double live album, Live at the Greek in 2000. In 2001 he made an appearance on stage with Limp Bizkit frontman Fred Durst and Wes Scantlin of Puddle of Mudd at the MTV Europe Video Music Awards in Frankfurt, where they performed a version of Led Zeppelin's "Thank You". On 10 December 2007, the surviving members of Led Zeppelin, as well as John Bonham's son, Jason Bonham played a charity concert at the O2 Arena London. According to Guinness World Records 2009, Led Zeppelin set the world record for the "Highest Demand for Tickets for One Music Concert" as 20 million requests for the reunion show were rendered online. On 7 June 2008, Page and John Paul Jones appeared with the Foo Fighters to close the band's concert at Wembley Stadium, performing "Rock and Roll" and "Ramble On". For the 2008 Olympics, Jimmy Page, David Beckham and Leona Lewis represented Britain during the closing ceremonies on 24 August 2008. Beckham rode a double-decker bus into the stadium and Page and Lewis performed "Whole Lotta Love". Guitarists influenced by Page include Eddie Van Halen,Ace Frehley,Joe Satriani,John Frusciante,James Hetfield,Kirk Hammett,Zakk Wylde,Yngwie Malmsteen,Joe Perry,Richie Sambora,Angus Young,Slash,Dave Mustaine,Mike McCready,Jerry Cantrell,Stone Gossard,Mick Mars,Paul Stanley,Alex Lifeson,Steve Vai,Dan Hawkins, among others. Queen's Brian May told Guitarist in 2004. "I don't think anyone has epitomised riff writing better than Jimmy Page. He's one of the great brains of rock music." 1959 Fender Telecaster. Given to Page by Jeff Beck and repainted with a psychedelic dragon design by Page. 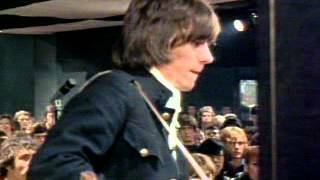 Played with the Yardbirds. Used to record the first Led Zeppelin album and used on the early tours during 1968-69. In 1971, it was used for recording the "Stairway to Heaven" solo. 1960 Black Gibson Les Paul Custom (with Bigsby Tremolo) - stolen in 1970. Page ran an ad requesting the return of this highly modified instrument but the guitar was not recovered until 2015-2016. In 2008 the Gibson Custom Shop produced a limited run of 25 re-creations of the guitar, each with a Bigsby Tremolo and a new custom 6-way toggle switch. He developed a reputation for employing effects in new ways and trying out different methods of using microphones and amplification. During the late 1960s, most British music producers placed microphones directly in front of amplifiers and drums, resulting in the sometimes "tinny" sound of the recordings of the era. Page commented to Guitar World magazine that he felt the drum sounds of the day in particular "sounded like cardboard boxes." Instead, Page was a fan of 1950s recording techniques, Sun Studios being a particular favourite. 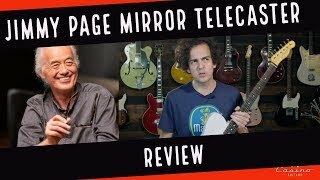 In the same Guitar World interview, Page remarked: "Recording used to be a science" and "[engineers] used to have a maxim: distance equals depth." Taking this maxim to heart, Page developed the idea of placing an additional microphone some distance from the amplifier (as much as twenty feet) and then recording the balance between the two. By adopting this technique, Page became one of the first British producers to record a band's "ambient sound" - the distance of a note's time-lag from one end of the room to the other. For the recording of several Led Zeppelin tracks, such as "Whole Lotta Love" and "You Shook Me", Page additionally utilised "reverse echo" - a technique which he claims to have invented himself while with the Yardbirds (he had originally developed the method when recording the 1967 single "Ten Little Indians"). This production technique involved hearing the echo before the main sound instead of after it, achieved by turning the tape over and employing the echo on a spare track, then turning the tape back over again to get the echo preceding the signal. Many people think of me as just a riff guitarist, but I think of myself in broader terms ... As a record producer I would like to be remembered as someone who was able to sustain a band of unquestionable individual talent and push it to the forefront during its working career. I think I really captured the best of our output, growth, change and maturity on tape - the multifaceted gem that is Led Zeppelin. From 1986 to 1995 Page was married to Patricia Ecker, a model and waitress. They have a son, James Patrick Page (born April 1988). Page later married Jimena Gmez-Paratcha, whom he met in Brazil on the No Quarter tour. He adopted her oldest daughter Jana (born 1994) and they have two children together: Zofia Jade (born 1997) and Ashen Josan (born 1999). Page and Paratcha divorced in 2008. He has been in a relationship with actress-poet Scarlett Sabet since 2015. In 1972, Page bought the Tower House from Richard Harris. It was the home that William Burges (1827-81) had designed for himself in London. "I had an interest going back to my teens in the pre-Raphaelite movement and the architecture of Burges", Page said. "What a wonderful world to discover." The reputation of Burges rests on his extravagant designs and his contribution to the Gothic revival in architecture in the nineteenth century. Page was commissioned to write the soundtrack music for the film Lucifer Rising by Crowley admirer and underground movie director Kenneth Anger. Page ultimately produced 23 minutes of music, which Anger felt was insufficient because the film ran for 28 minutes and Anger wanted the film to have a full soundtrack. Anger claimed Page took three years to deliver the music and the final product was only 23 minutes of "droning". The director also slammed the guitarist in the press by calling him a "dabbler" in the occult and an addict and being too strung out on drugs to complete the project. Page countered that he had fulfilled all his obligations, even going so far as to lend Anger his own film editing equipment to help him finish the project. Page released the Lucifer Rising music on vinyl in 2012 via his website on "Lucifer Rising and other sound tracks". 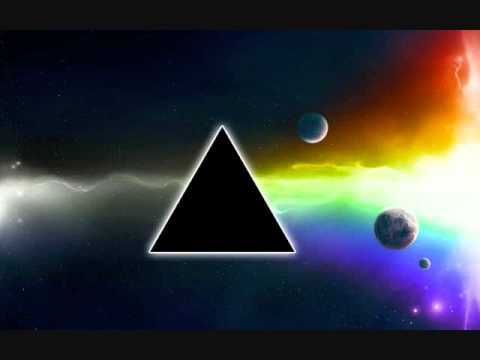 Side one contained "Lucifer Rising - Main Track", whilst side two contained the tracks "Incubus", "Damask", "Unharmonics", "Damask - Ambient", and "Lucifer Rising - Percussive Return". In the December 2012 Rolling Stone cover story "Jimmy Page Looks Back", Page said: "...there was a request, suggesting that Lucifer Rising should come out again with my music on. I ignored it." Early in his career, Page played on a number of recordings by British rock and pop artists as a session guitarist. As a member of the Yardbirds, he recorded Little Games (1967) (expanded in 1992 as Little Games Sessions & More), Live Yardbirds! Featuring Jimmy Page (1971), and Cumular Limit (2000). Beginning in 1968, he recorded nine albums with Led Zeppelin (see Led Zeppelin discography for the complete list). After Zeppelin, Page has recorded in several different settings. One of the first is the soundtrack album Death Wish II (1982). As a member of the Firm, he recorded The Firm (1985) and Mean Business (1986). Collaborations followed, including Whatever Happened to Jugula? (1985) with Roy Harper, CoverdaleoPage (1993), Walking into Clarksdale (1998) with Robert Plant, and Live at the Greek (2000) with the Black Crowes. His only solo album, Outrider, was released in 1988. As a guest performer, he has contributed to several albums and singles. ^ a b c Prato, Greg. "Jimmy Page Biography". AllMusic. Retrieved 2008. ^ a b Crowe, Cameron (13 March 1975). "The Durable Led Zeppelin". Rolling Stone. Retrieved 2012. ^ a b c "Guitar Legend Jimmy Page". NPR. 2 June 2003. Retrieved 2012. ^ Dave Hunter (15 October 2012). The Fender Telecaster: The Life and Times of the Electric Guitar That Changed the World. Voyageur Press. pp. 142-. ISBN 978-0-7603-4138-4. ^ a b c d e Rosen, Steven (25 May 2007). "1977 Jimmy Page Interview". Modern Guitars. Archived from the original on 5 January 2011. Retrieved 2012. ^ a b c d e f g h Schulps, Dave. 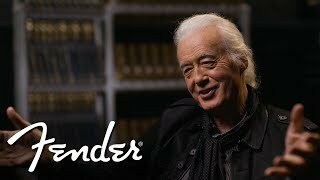 "Interview with Jimmy Page". Trouser Press (October 1977). Retrieved 2012. 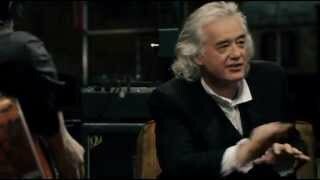 ^ a b c d "Interview with Jimmy Page". Guitar World (May 1993). Retrieved 2012. ^ a b Scott Calef (21 August 2013). Led Zeppelin and Philosophy: All Will Be Revealed. Open Court. pp. 125-. ISBN 978-0-8126-9776-6. ^ Martin Power (8 March 2012). 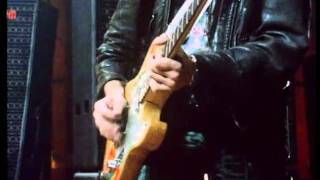 Hot Wired Guitar: The Life of Jeff Beck. Music Sales Group. pp. 47-. ISBN 978-0-85712-810-2. ^ Scott Schinder; Andy Schwartz (2008). Icons of Rock: Velvet Underground ; The Grateful Dead ; Frank Zappa ; Led Zeppelin ; Joni Mitchell ; Pink Floyd ; Neil Young ; David Bowie ; Bruce Springsteen ; Ramones ; U2 ; Nirvana. Greenwood Publishing Group. pp. 381-. ISBN 978-0-313-33847-2. ^ a b c d Paul, Du Noyer. "Who the hell does Jimmy Page think he is?". Q magazine (August 1988): 5-7. ^ George Case (1 April 2009). Jimmy Page: magus, musician, man : an unauthorized biography. Backbeat Books. p. 43. ISBN 978-0-87930-947-3. ^ a b c Kingsmill, Richard (12 July 2000). "Led Zeppelin Triple J Music Specials". Australian Broadcasting Corporation. ^ "Official Discography". The Who. 13 September 1971. Retrieved 2013. ^ Tony Barrell (22 August 2010). "Riffs and Legends". The Sunday Times. Retrieved 2014. ^ Jean-Emmanuel Deluxe (18 November 2013). Ye-Ye Girls of '60s French Pop. Feral House. pp. 302-. ISBN 978-1-936239-72-6. ^ "Jeff Beck Interview (PDF)" (PDF). Hit Parader (April 1966). Retrieved 2013. ^ Miserandino, Dominick A. (29 November 2000). "Led Zeppelin : John talks about his musical career with Led Zeppelin, before and after". TheCelebrityCafe.com. Retrieved 2015. ^ "Led Zeppelin Biography". Jimmy Page Online. Retrieved 2010. ^ a b Cavanagh, David (29 December 2008). "John Paul Jones on Jimmy Page". Uncut. Retrieved 2015. ^ "Zeppelin defend Live Aid opt out". BBC News. 4 August 2004. Retrieved 2010. ^ Roberts, Janey (7 August 2017). "Why "Wasting My Time," Was Jimmy Page's Best Post Led Zeppelin Song". ClassicRockHistory.com. Retrieved 2017. 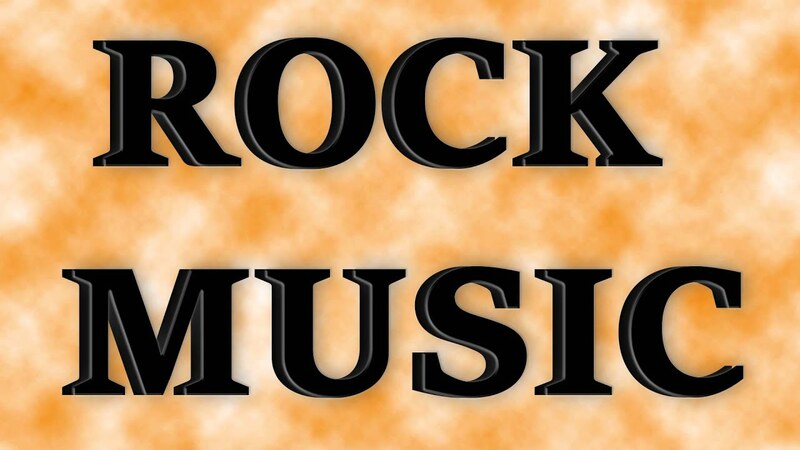 ^ "Led Zep's Page Joins Limp Bizkit's Durst And Puddle of Mudd's Scantlin On Stage". Yahoo. 11 October 2001. Archived from the original on 16 June 2007. Retrieved 2007. ^ "Jimmy Page given OBE for charity work". CBC.ca Arts. CBC. 14 December 2005. Archived from the original on 12 March 2007. Retrieved 2007. ^ "Zeppelin's Page made Rio citizen". BBC News. BBC. 22 September 2006. Retrieved 2007. ^ Hans Werksman (21 September 2006). "Wolfmother live at Led Zep's induction" (weblog). Here Comes The Flood. Hans Werksman. Retrieved 2013. ^ "Led Zeppelin make UK Hall of Fame". BBC News. 23 May 2006. Retrieved 2007. 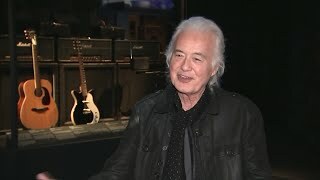 ^ "Jimmy Page Talks On New Album". Ultimate Guitar. Ultimate Guitar. 16 November 2006. Retrieved 2009. ^ "Guinness 2010 entertainment winners". TVNZ. 17 December 2009. Archived from the original on 6 March 2011. Retrieved 2017. Led Zeppelin broke the world record for the Highest Demand for Tickets for One Music Concert when 20 million requests came through for the one-time reunion show in December 2007. ^ "Led Zeppelin reunite at Foo Fighters show | News". Nme.Com. June 8, 2008. Archived from the original on October 19, 2013. Retrieved 2017. ^ Knight, Tom (17 June 2008). "London rap troupe fly flag at Beijing Olympics". The Daily Telegraph. London. ISSN 0307-1235. OCLC 49632006. Retrieved 2015. ^ "It Might Get Loud". It Might Get Loud. Little Film Company. 5 September 2008. Archived from the original on 11 February 2009. Retrieved 2009. ^ "Olympic Documentary London Calling - screens this week". Thi Is London. Radio Movies. 28 February 2009. Retrieved 2009. ^ "Jeff Beck". Rock and Roll Hall of Fame. Retrieved 2012. ^ "Jimmy Makes It Celebration Day For Fans". Sky News. 16 December 2009. Archived from the original on 6 January 2013. Retrieved 2013. ^ Barnes, Ellen (18 January 2010). "Jimmy Page Announces Free Concert, Wins U.N. Peace Award, Plots Solo Tour". Gibson. Retrieved 2013. ^ "Jimmy Page: The Photographic Autobiography". Genesis Publications. Retrieved 2010. 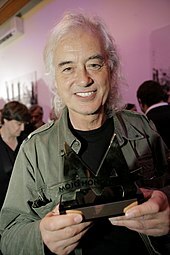 ^ "Guitarist Jimmy Page receives UN award". Yahoo! India. 15 January 2010. Archived from the original on 19 January 2010. Retrieved 2013. ^ "Page lands Peace Prize". Contact Music. 15 January 2010. Retrieved 2013. ^ McNulty, Bernadette (7 November 2011). "Roy Harper at the Festival Hall, 2011". The Daily Telegraph. London. Retrieved 2017. ^ Craig Dunning (16 November 2011). "British MP lobbying for Knighthood for Led Zeppelin guitarist Jimmy Page". DailyTelegraph. Retrieved 2011. ^ Serpick, Evan (3 December 2012). "Led Zeppelin Get All-Star Tribute At Kennedy Center Honors". RollingStone. Retrieved 2013. ^ Stone, Rolling (19 February 2013). "Robert Plant hints he'd be open to a Led Zeppelin reunion". NBC News Entertainment. Retrieved 2013. ^ Coleman, Miriam (11 May 2014). "Jimmy Page receives honorary doctorate from Berklee College of Music". RollingStone.com. Retrieved 2014. 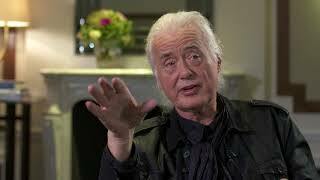 ^ "Jimmy Page is 'fed up' with Plant delaying Led Zeppelin reunion plans". NME. 19 May 2014. Retrieved 2014. 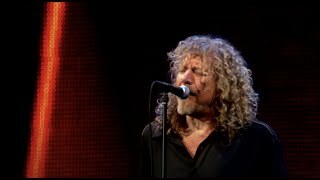 ^ "Robert Plant says he is 'disappointed and baffled' by Jimmy Page in ongoing Led Zeppelin dispute". NME. 30 July 2014. Retrieved 2014. ^ "JIMMY PAGE Says He Will Start New Band, Perform Material Spanning His Entire Career". blabbermouth.net. 30 September 2014. Retrieved 2014. 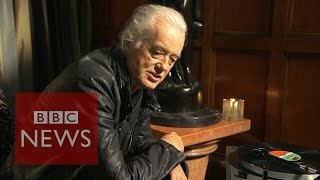 ^ "Jimmy Page, Johnnie Walker Meets... - BBC Radio 2". ^ "10 questions with Ted Nugent". 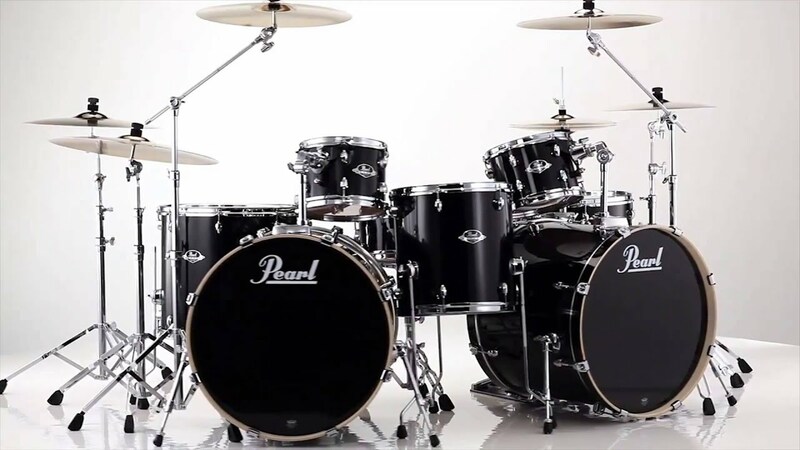 Music Gear Review.com. 6 August 2011. Retrieved 2015. ^ Case, George (2009). Jimmy Page: magus, musician, man : an unauthorized biography. Backbeat Books. p. 188. 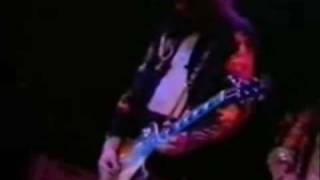 ^ "Ace Frehley Interview". Modernguitars.com. Retrieved 2010. ^ "Joe Satriani Interview". Metal-rules.com. Retrieved 2010. ^ Prato, Greg (3 August 1963). "James Hetfield". AllMusic. Retrieved 2010. ^ "Kirk Hammett: Official Biography". Retrieved 2013. ^ Ankeny, Jason (14 January 1967). "Zakk Wylde". AllMusic. Retrieved 2010. ^ Elliott, Paul (17 September 2004). "Joe Perry Interview". Mojo. Retrieved 2013. ^ "Richie Sambora". MPCA Music Publishing. Archived from the original on 14 February 2012. Retrieved 2013. ^ Prato, Greg (31 March 1955). "Angus Young at AllMusic". AllMusic. Retrieved 2010. ^ "Slash Interview". Snakepit.org. Retrieved 2010. ^ "Dave Mustaine: 'My Life Isn't About Name-Calling And Mud-Slinging'". Blabbermouth.net. 5 April 2010. Retrieved 2013. ^ Prato, Greg (5 April 1966). "Mike McCready at AllMusic". AllMusic. Retrieved 2010. ^ Prato, Greg (18 March 1966). "Jerry Cantrell at Allmusic". AllMusic. Retrieved 2010. ^ Prato, Greg (20 July 1966). "Stone Gossard at Allmusic". AllMusic. Retrieved 2010. ^  Archived 29 August 2010 at the Wayback Machine. ^ Prato, Greg (20 January 1952). "Paul Stanley at AllMusic". Allmusic.com. Retrieved 2010. ^ "Alex Lifeson Interview". Guitar Player. 1 February 2006. Retrieved 2013. ^ Farley, Mike (6 June 2007). "Dan Hawkins Interview". Bullz-eye.com. Retrieved 2010. ^ "Cello Bow". led-zeppelin.org. Retrieved 2012. ^ Higgs, Simon. "Jimmy Page's Signature Les Paul". Retrieved 2013. ^ "Luthier Roger Giffin with Jimmy Page's 1959 Les Paul No. 2". Giffinguitars.com. Retrieved 2010. ^ "Gibson built, Jimmy Page OK'd, yours for just $20,999". .canada.com. 3 April 2008. Retrieved 2013. ^ "Manson Triple Neck Acoustic Instrument". led-zeppelin.org. Retrieved 2012. 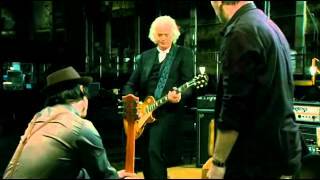 ^ "9.6 Rating Jimmy Page "Number Two" Les Paul". Gibson. Retrieved 2011. ^ a b c d Gress, Jesse (July 2011). 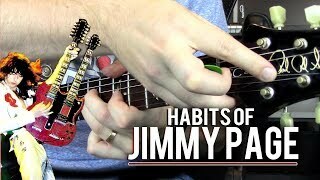 "10 Things You Gotta Do To Play Like Jimmy Page". Guitar Player. pp. 74-88. ^ a b c d Tolinski, Brad; Greg Di Bendetto (January 1998). "Light and Shade". Guitar World. Retrieved 2014. ^ a b Gilmore, Mikal (10 August 2006). "The Long Shadow of Led Zeppelin". Rolling Stone (1006). Retrieved 2007. ^ "ABC Trust History: Who We Are". Abctrust.org.uk. Retrieved 2012. ^ "Rock legend's pilgrimage to castle". BBC News. 20 May 2004. Retrieved 2007. ^ "Led Zeppelin Biography". Rolling Stone. Retrieved 2013. ^ Cole 1992, pp. 322-326. ^ Davis, Stephen (4 July 1985). "Power, Mystery and the Hammer of the Gods: The Rise and Fall of Led Zeppelin". Rolling Stone (451). Retrieved 2014. ^ Davis 1985, pp. 316-317. ^ "Jimmy Page is found guilty of cocaine possession". This Day in Rock. Retrieved 2015. ^ "Back from the Led (Zeppelin), Jimmy Page Tries to Rekindle the Old Rock 'n' Roll Fires". People. Retrieved 2015. ^ "Jimmy Page". Rolling Stone. Retrieved 2015. ^ "Jimmy Page's symbol". 17 September 2009. Archived from the original on 22 February 2012. Retrieved 2009. ^ Brad Tolinski (2012). Light and Shade: Conversations with Jimmy Page. Virgin. pp. 183-. ISBN 978-0-7535-4039-8.